BELL recently completed a surveying support project for the expansion of the Municipality of Anchorage (AWWU) Archive Building located on E 94th Court Anchorage, Alaska. Our team lead the effort for design surveying, construction staking and as-built. 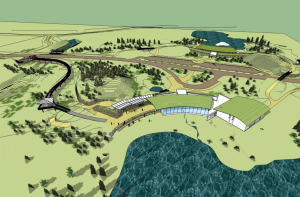 We also provided additional services as requested: civil engineering (existing site/demolition plan, civil site plan, grading, drainage, AG-21, erosion control, and construction details), mechanical design, and our 3D laser scanning capabilities. By scanning the whole building, inside and out, we were able to create a “Google Street View” of the project building and location. This was an accelerated schedule and was completed 60 days from NTP. In 2014 BELL was hired by an architectural firm to 3D laser scan the interior of the newly constructed Exhibit Hall at the Kenai National Wildlife Refuge Visitor Center located in Soldotna, Alaska. There had been some changes in the design during construction so the client requested BELL to scan the interior of the newly constructed space in order to capture the changes and including the HVAC routing so that they could make sure the proposed exhibit would still fit in the space. 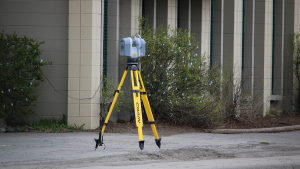 Bell provided the client with laser scan data and dimensioning of some critical areas. In 2015 BELL provided 3D scanning services for 19 complete modules and the associated exterior interconnected piping located at the GC1 facility. This effort was completed to help BP engineers in the projects initial planning phase as well as their sub-contractors in the final design phase. The goal of this project was to have a completed design in place before the next facility turnaround (TAR) to remove and replace the wet-gas piping throughout the facility. BELL laser scanned all the modules associated with project, tied all of the gathered laser scan data to the local plant control network and provided a complete ACAD model of all of the elements within each module including, but not limited to; structural steel, piping down to ½” diameter, electrical boxes and conduit runs, HVAC, instrumentation, and architectural features sertraline anxiety. 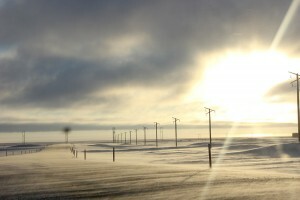 BELL has had maintained a stable and continuous presence on Alaska’s North Slope for more than 37 years. Our team recognizes how important the oil & gas industry is for Alaska’s economy and ultimately, Alaskan residents. BELL has been providing surveying, civil engineering, mechanical engineering and 3D laser scanning for our current term contract with BP Exploration, Alaska (BPXA) for 32 years, which involves standard daily practices including supervising field and office personnel in various surveying tasks for all pads, roadways, pipeline routes, and site facilities. We also provide quality control services for installed earthen and concrete materials and civil engineering support for the design of new and/or improved sites throughout the oil patch. In summary, we are in charge of the coordination and technical oversight of civil engineering, surveying, and quality assurance in pipeline and facility construction projects.